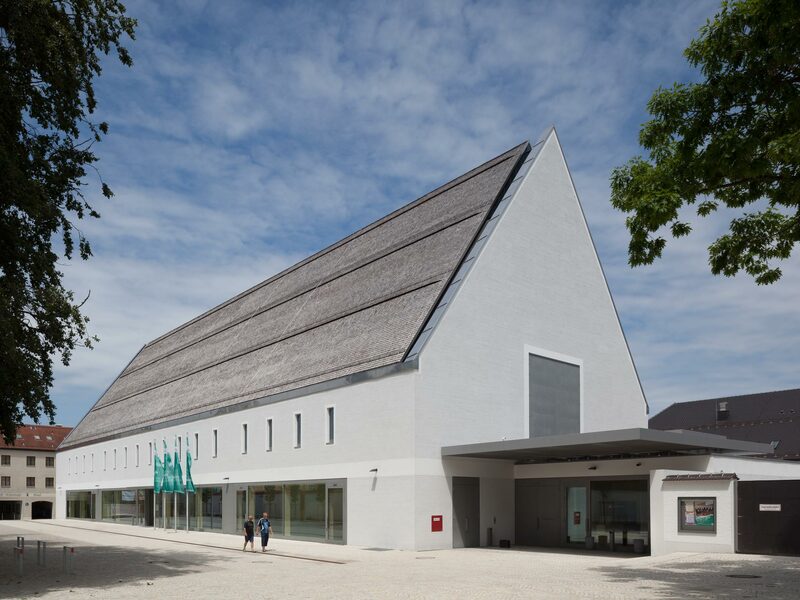 The new building has a high-quality thermal insulation of the airtight thermal building envelope and mechanical ventilation systems with heat recovery. 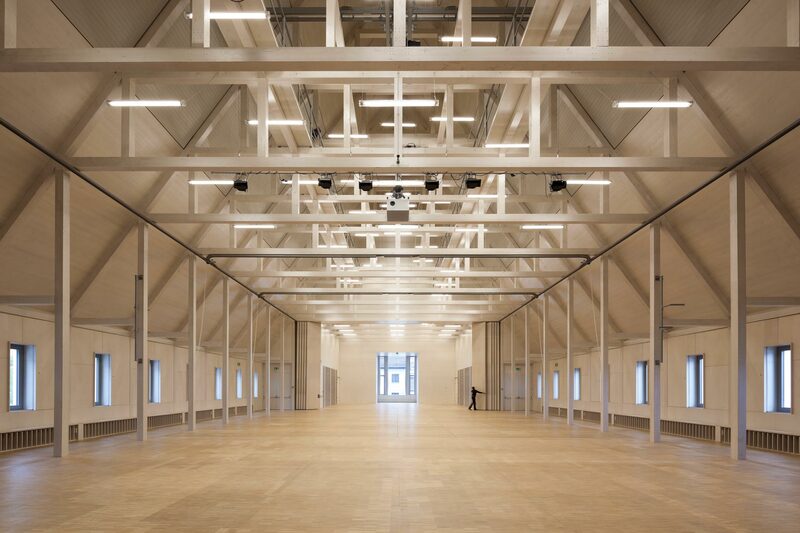 Most rooms are equipped with active floor slabs for heating and cooling, in the Raiffeisen hall an additional cooling / heating ceiling is provided. The supply air for the Raiffeisen hall is provided as displacement souce air and flows laterally from the benches and the front of the stepped electric stage lifts. Unlike mixed air systems this setup directly provides fresh air for up to 800 people and fully exploits the cooling potential of the temperature-controlled and (partially) dehumidified supply air (cooled down to 18° C). The building is supplied with district heating, which is obtained as heat in a cogeneration plant with wood chips. Cooling is achieved by ground water from a 30 m deep well. The heating and cooling thus requires a very low primary energy demand. Although the electricity is currently drawn from the public energy grid, a potential assessment showed, however, that the overall objective of zero energy building with 600 m² PV modules can be reached on the south-facing, 40 ° inclinated roof. 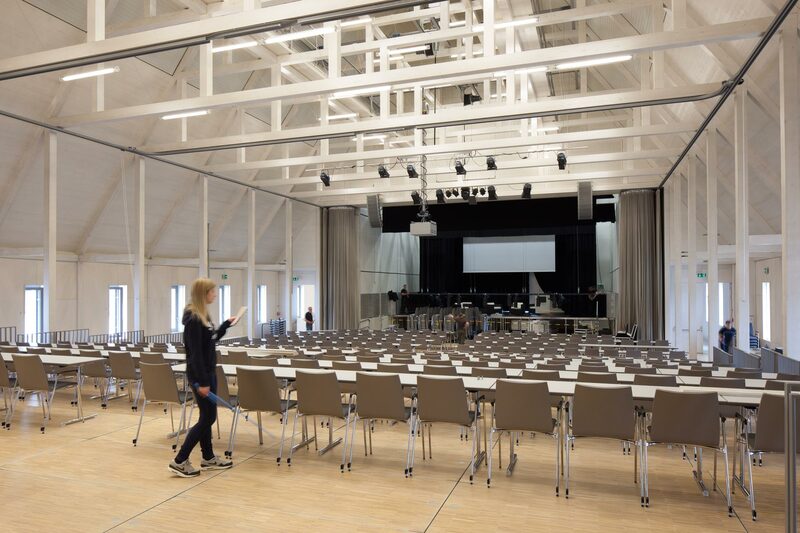 The Culture and Congress Forum in Altötting shows that high thermal, visual and acoustic comfort as well as sustainable construction with a balanced annual primary energy result ("zero energy building") for heating, cooling and electricity is technically feasible and economically justifiable.